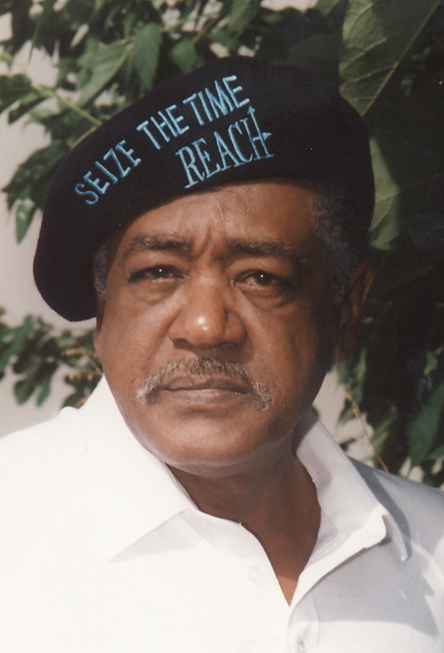 Bobby Seale was the co-founder of the Black Panther Party (BPP). His community organizing in Oakland, California turned into a national movement for Black rights. He continues to be involved with today’s activism and often speaks about social justice issues and organizing, as he did at on campus last Tuesday, February 5. Seale attributes much of the work he did as an adult to his upbringing. He counts himself lucky to be raised in a family of carpenters and builders, but “I had always gravitated towards science stuff,” he said. Seale became an engineering design major at college and balanced a night job with his studies. His interest in engineering took him to NASA’s Gemini Missile Program. While he was working at NASA in 1964, a young Bobby Seale heard Dr. Martin Luther King, Jr. was coming to town. So, he decided he would hear him speak. “I always liked Martin Luther King. Straight up,” said Seale. He packed into an overly crowded Oakland auditorium with hundreds of others to hear King deliver a speech about boycotting companies that were practicing hiring discrimination. Seale described to me a memorable moment when King talked about Wonder Bread. At that time, they were a national company that wasn’t hiring Black people. “We want to boycott them so consistently and so profoundly, that we want to make Wonder Bread wonder where the money went,” Seale recalled King saying as he let out a hearty laugh. He said his interest in civil rights was sparked by Dr. King’s passion for getting rid of discrimination and racism. “I worked for three and a half years in the Gemini Missile Program, and I quit that job specifically to work in the grassroots community,” he said. He was proud of his work as an engineer, but even today, Seale describes himself as “a grassroots kind of organizer.” Shortly after, Seale started a jobs program paying Black youth to tutor younger Black students in the summer. His passion for community organizing only grew from there. He elaborated that black people won’t have any control until they run for office. Seale posed a question: “How can we get fair shares of equality and equity out of those tax monies as its related to our existence here in our communities without that?” He stressed the importance of being involved with local government. Encouraging Black political leadership another one of the reasons he started the BPP. The goals of the BPP are very similar to the goals of today’s Black Lives Matter movement (BLM). “When that first grounding of BLM started, they wrote a 12-point program. Six of those points are parallel to our original 10-point program of the BPP,” Seale said. Despite being 50 years apart, their goals are very similar because the issues that the Black community faces are have not changed much. Seale advises young voters choose a path that is similar to his own: to get an education and to take part in progressive political organizing. Seale hopes to see healthcare become a human right, improve infrastructure, see increases in affordable housing and many other progressive causes. “The very programs that the republicans and conservatives are trying to stop, we want to make them right,” Seale said.